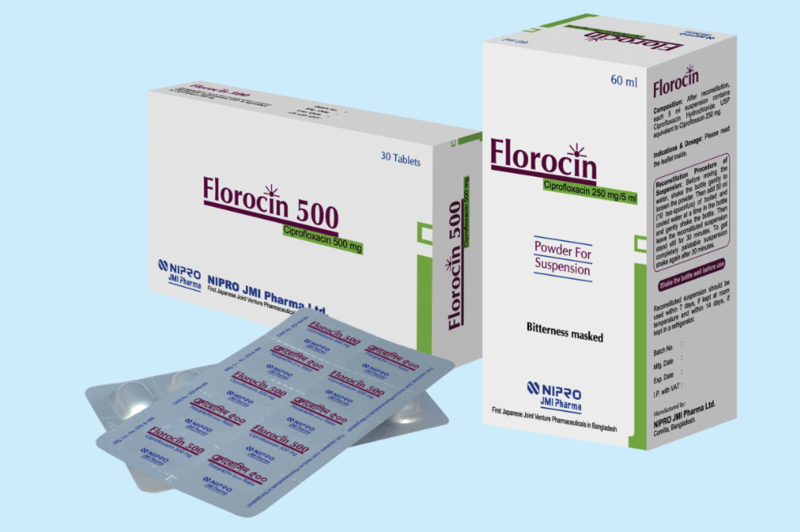 Florocin (Ciprofloxacin) is a synthetic fluoroquinolone. It has bacteriocidal activity against a wide range of gram-positive and gram-negative organisms. It inhibits bacterial DNA synthesis by binding with the bacterial enzyme-DNA gyrase and topoisomerase IV which are responsible for DNA supercoiling.